Nick has a revolving department store credit card account with an annual percentage rate of 15%. Last month’s balance on the account was $423.78. During the current month, he made purchases totaling $123.42 and made a payment of $100. 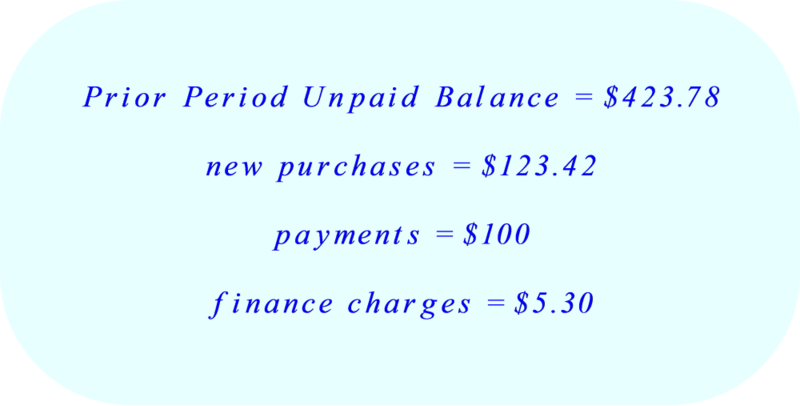 The store uses the unpaid balance method. 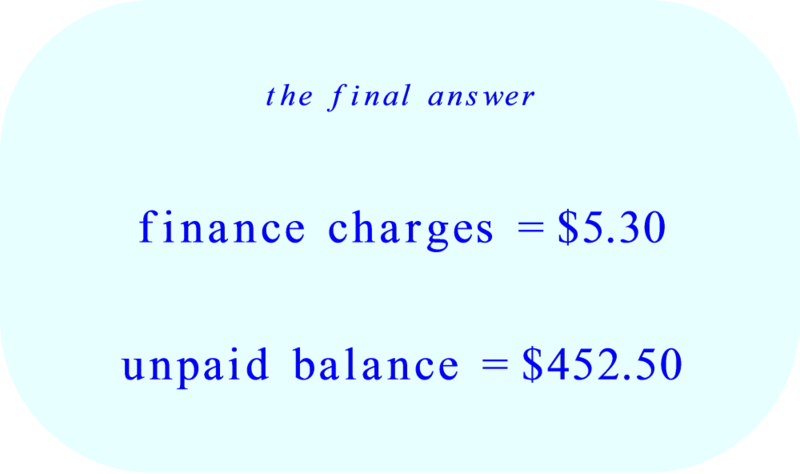 According to this information, what must be the amount of the finance charge? Round your answer to the nearest cent. 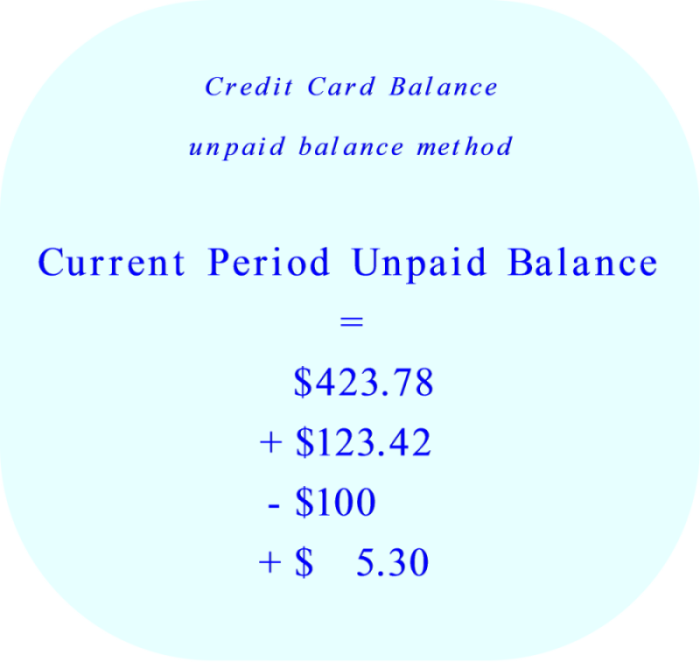 I can’t seem to find a way to do an unpaid balance method for this question and finance charge. HELP ME PLEASE! 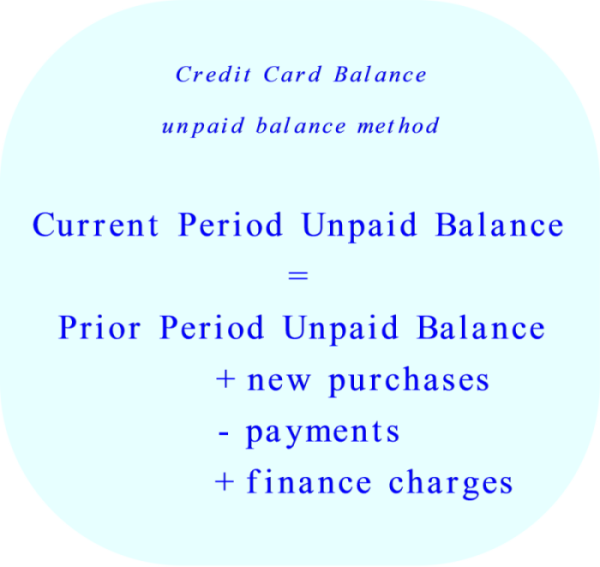 The unpaid-balance method of computing finance charges uses the unpaid balance from the prior period to compute the interest charge. Because of this, the finance charges for the current period are not affected by any new charges or payments.